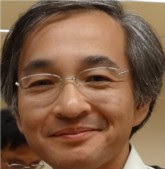 Kensuke Nanjo made an interesting suggestion about English tonicity. I've been wondering if it's safe to say the word "else" always takes the nucleus in such sentences as "What else did you say? ", "Who else did you see? ", "Is anyone else coming? ", "Nobody else has finished it", because the word "else" indicates that the rest of the sentences conveys old information. It’s certainly the case that else in this meaning usually bears the nuclear tone. • ˈWhat ˈelse did you say? • ˈWho ˈelse did you see? • Is ˈanyone ˈelse coming? • There’s ˈsomething ˈelse I’d like to talk about, | as ˈwell. • If I ˈcan’t ˈtrust ˈyou, | who ˈelse can I trust? (the latter two examples from LDOCE). • ˈHurry ˈup, | or ˈelse we’ll ˈmiss the ˈtrain. • They’ll ˈeither reˈduce the ˈprice | or ˈelse inˈclude ˈfree inˈsurance. Another LDOCE example is interesting. • I’d like you to come, and anyone else who’s free. If we devise a context for this example, there are two possibilities. In both, we can assume that come is given. (i) In one of them, “you” are free. So free is a given, therefore unaccented. • I’d like ˈyou to come,| and ˈanyone ˈelse who’s free. • I’d like ˈyou to come,| and ˈanyone ˈelse who’s ˈfree. The difference in meanings is conveyed by whether or not else bears the nucleus. I don't think you can make this generalization. There can be contrastive focus on some other item in sentences containing "else". • OˈK, | you've ˈtold me who ˈelse was inˈvited, | but ˈwho (ˈ)else ˈactually ˈcame? Like other tonicity rules, this proposed rule can be overridden by the demands of narrow/contrastive focus. What 'else did he say? What else could he have 'said? where the fact that he said something feels more 'given' in the first than in the second. What else could I 'do? What 'else could I do? The second, with the nucleus on else, feels more hectoring or defensive; I wonder if that reflects a narrower focus than the first? As always, I have printed out this post -and Martin's comment (for private study, needless to say).